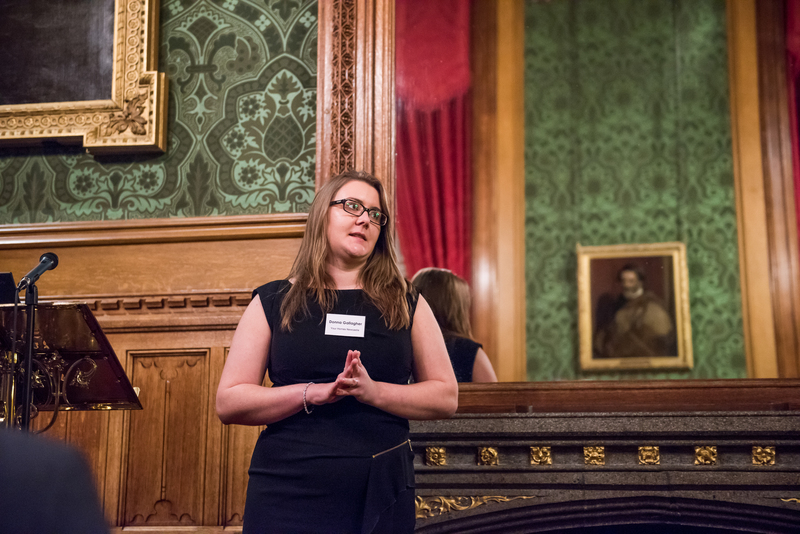 Three years on from the launch of Universal Credit, Policy in Practice’s recent Leading Lights Network reception at the House of Lords brought together key figures from the world of welfare. Together they discussed how welfare reforms have unfolded, and also considered how best to develop them in the future. Now that we have a new Secretary of State for Work and Pensions, it is particularly important to stay focused on the practical aspect of welfare delivery. More than ever, people need information that empowers them to make the decisions that are right for them. And we must give organisations the information they need to get the right support, at the right time, to the people that need it the most. The Leading Lights Network is Policy in Practice’s way of bringing together forward-thinking, problem solving people, to develop creative and effective solutions to the challenges of implementing welfare reform policy. Our aim is to highlight innovation and share best practice at a national level. The changes to the welfare system are still moving ahead, and we will continue to work with the DWP, Stephen Crabb MP and our clients and their customers to develop better policy, and deliver it effectively. For those local organisations still considering the philosophy behind Universal Credit, this event showcased the expertise of those who now have first-hand experience of its implementation. 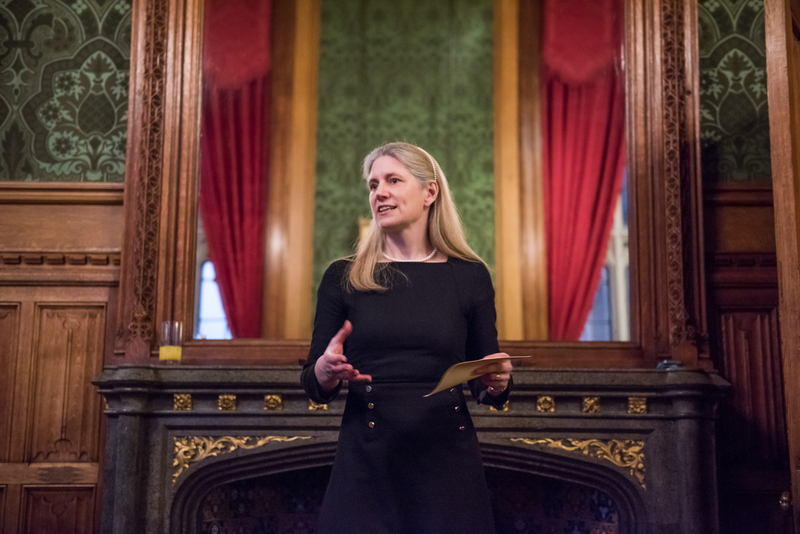 The lively evening reception was held in the River Room at the House of Lords at the kind invitation of Baroness Stroud of Fulham. In 2010 Philippa became Special Adviser to the Secretary of State for Work and Pensions, and in 2012 additionally to the Prime Minister. Over 50 ‘leading lights’ from local authorities, housing associations and welfare to work providers were there. 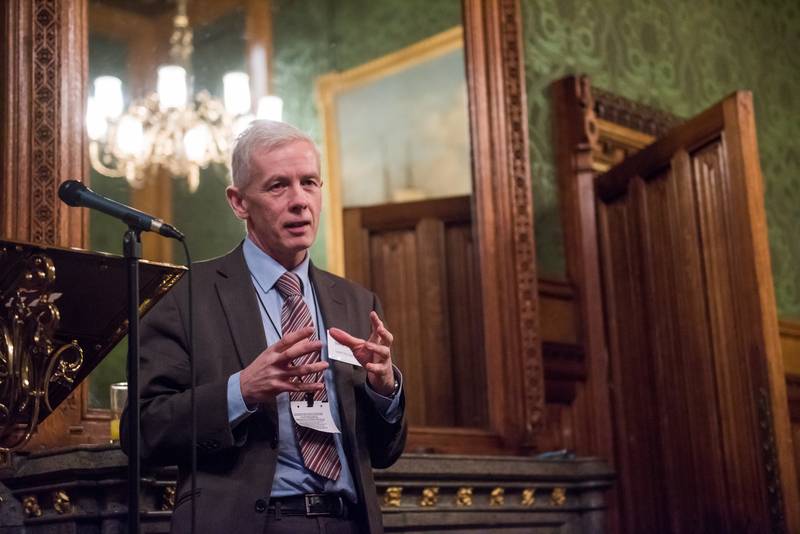 Paul Howarth, founding director of the Welfare Reform Club, compered the evening. Topics for the event included tackling poverty in a high wage, low tax, low welfare society, and how household data can help to show the true impact of welfare reform policy. More practically, discussions considered how to implement welfare reforms while delivering support to those who need it most, and how change really happens on the frontline. A key consideration which was taken away from the event was how to improve frontline services and training in order to more collectively and proactively deal with the lived realities of significant welfare reforms. Baroness Stroud, CEO of the Centre for Social Justice, set the tone for the evening by inviting the room to fulfil the potential of UC. She emphasised that the continued roll out of Universal Credit on the ground will bring major new opportunities. From lifting people out of poverty through full time work; to helping employers increase and stabilise their workforce; to identifying vulnerable individuals at the point of making a claim; there is huge creative possibility in Universal Credit. Steve Carey of Leeds City Council provided a unique insight from one of the country’s biggest local authorities. He noted the significant challenges posed by adapting to the new measures of Universal Credit, for instance 65% of people in Leeds are affected by the under-occupancy charge, but could also celebrate some significant successes. One such success is a pilot ‘social contract’ scheme which involves the City Council awarding tenants a discretionary housing payment in return for their engagement with the council about activities they want to pursue. Steve revealed that 86% of people taking part in the scheme said it had made a very positive improvement to their lives. In emphasising the unique flexibility of local government, Steve also called for the fostering of closer links between local councils and the Jobcentre Plus; a sentiment echoed by Donna Gallagher of Your Homes Newcastle. In her talk, Donna explained how every single Universal Credit claimant receives a personal assessment in Newcastle yet, as the rollout of UC continues across the city, change needs to happen to make their approach sustainable at scale. In evoking the confused experience of individual claimants, Donna offered a powerful call to arms to those in the room. Users must be empowered, she said, and local organisations must make Universal Credit work for them through engaged, responsive processes, and better communication between numerous service providers. 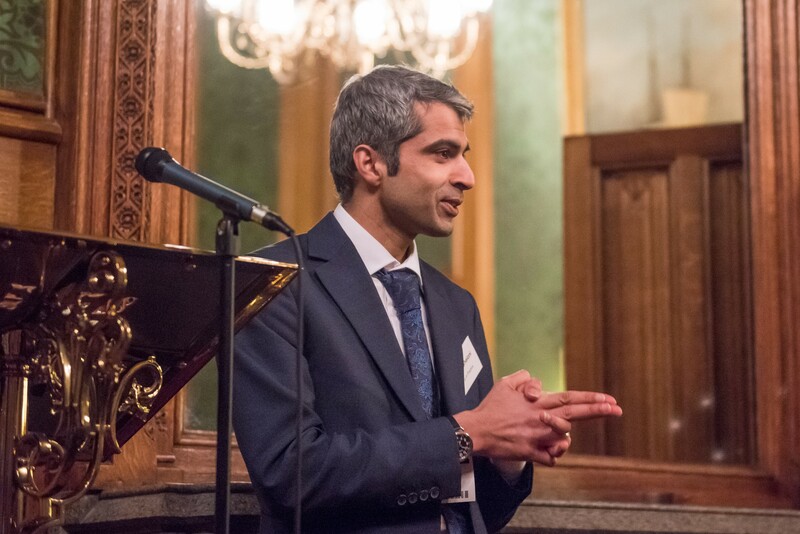 Donna’s powerfully delivered experiences led nicely into Deven Ghelani’s concluding speech, in which he encouraged those in the room to get to know each other better. “Policy in Practice can provide a platform for local authorities, housing associations, welfare to work advisers and policy experts to all come together to confront poverty”. The key theme of Deven’s speech was empowerment. For people this means giving them agency over the benefit system to make choices and give them control. For organisations, this comes through assessing the cumulative impact of policies to create frontline services that get the right support to those that need it most. The final, formal part of the evening consisted of a robust question and answer session between speakers and attendees. Attendees shared ideas, experiences and opinions. The need to increase frontline understanding and training appeared paramount, whether it be in delivering JSA or providing mitigation for the LHA cap, in order to provide the right services for the right people. The evening concluded positively, with the message that Policy in Practice’s Leading Lights Network can help local organisations to interact with policymakers to take ideas and connections further. 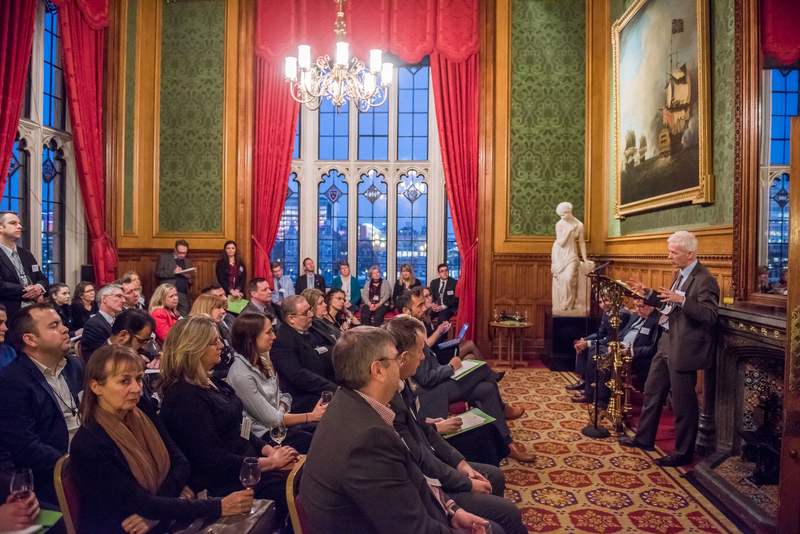 Policy in Practice was delighted to have provided such a platform to bring our speakers and guests together. Whilst much of the discussion at this Leading Lights Network event focused on Universal Credit, Policy in Practice is about something much bigger than that. We are changing, step by step, how poverty is tackled in this country. We are proud of the work we’re doing with our forward thinking clients in this area and want to share it. The work of two of our Leading Lights Network speakers are featured in Policy in Practice case studies.